Gaming is sure to remain popular among kids and adults going into the future. Whether using mobile devices or computers, people will continue to enjoy and get entertained with video games of all types. But more than just the graphics and playing the game, the plot, dialogues and characters also play a very vital role. And major credit here goes to the creative video game writers who come up with unique stories and settings for various types of gaming platforms such as the PlayStation, PCs, mobile, Xbox, tablets and social networking sites. Movies continue to be a big influence in many video games. However, top game writers would prefer to see games being influenced by other forms of media such as books, theater, comics and real-world events. Comics, for instance, has been revived in the movie business in recent years such as Iron Man, Blue and Ghost World. 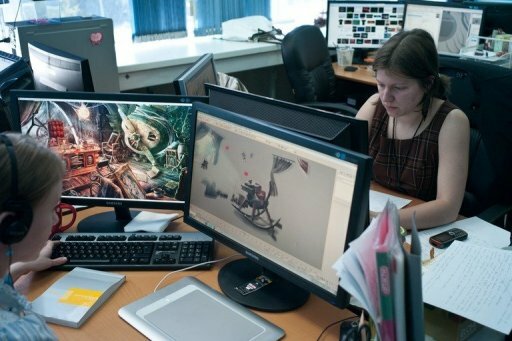 The U.S. Bureau of Labor Statistics (BLS) revealed that an estimated 68,900 multimedia animators and artists including game designers and writers are employed across the U.S. as of 2012. The growth rate for these jobs is forecast to increase by 4,300 by 2022. As landing a job in the gaming industry is very competitive at the moment, those who want to earn more moving forward should ensure to gain the right knowledge and gaming experience. Working as a video game writer does not require knowledge of codes and graphic design. The most important prerequisite is a love for writing particularly for video games. Normally, the focus is on writing dialogues, building unique worlds and working within a studio. Keep in mind that good writing is key to a successful game that provides players with a different kind of experience. What’s important is a writer is able to come up with a narrative that can keep gamers engaged from start until the last levels of the game. They need to focus on creating balance and complementing an interactivity. During training or in special programs for game writers, what’s usually emphasized is the creating of an entire story, a character’s DNA and a plot. Students and aspiring writers are then taught and challenged to create dialogues for specific scenarios. Depending on the complexity of a game, teamwork and collaboration is often required together with the graphic designers and directors. Game writers and even developers can look for work via studios. Global gaming studios are located in various parts of the globe such as in Los Angeles and San Francisco in California, Vancouver and Montreal in Canada as well as in Asia and Europe.